Bike will be cleaned/degreased to enable service to be carried out. Frame checked for corrosion and correct alignment including gear hanger, drop outs and re-aligned if possible. All drive-train components will be removed from the frame for service/replacement. All bearings checked and adjusted. Wheels retensioned and trued as necessary. Wheels checked for rim wear, buckles and damage. If rim is 50% or less of original thickness, we'd advise you to have rim replaced and wheels rebuilt or new wheel. Ensure all adjuster screws are not binding. Greased as necessary. All components reassembled on to frame using correct torque settings where applicable. New brake blocks/pads as necessary. All cables (inner & outer) replaced. Gear and brakes set for optimum performance. Bike road tested and signed off by mechanic as being roadworthy. Internal cables will incur an additional £15 service charge. Here’s a few of the other things we do. Please note that the prices quoted are for labour only and that parts used are an additional cost. As a busy shop with a large client base we prefer to spend the weekends keeping our customers going with "emergency" pit stop servicing. As such we do not perform any of our regular service work at the weekend. But… If you have an emergency and need our help to get you back on the road, we're here for you, weekends included! Just ensure you have the bike in to us by midday. Please complete all section as fully as possible. The more info we have, the faster we can turn your bike around. If you don't know the make and model be sure to put the type of bike in here. Roughly how many years old is the bike? What service package do you want? 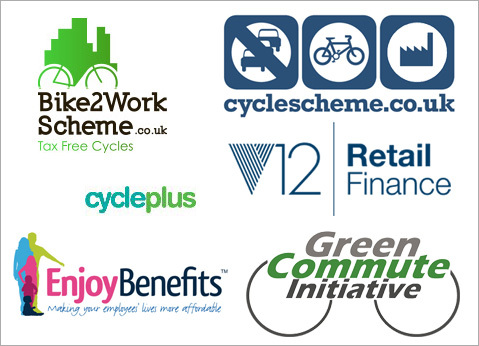 Select a service package Bronze Service (50) Silver Service (£70) Gold Service (£120) eBike Service (£135) None of the above, I'll list the work below. What specific tasks need doing to your bike, or what's the problem? Would you like us to retain and return your old parts? Your files were uploaded successfully. For some reason we can't upload your files. Try again or move on. Only jpg, png, avi, mp4 or mov files allowed. Max total size 20mb. Uploading a few photos or video of your bike and the problem is a great way for us to be better prepared to fix your bike when it comes in. When are you dropping off/collecting the bike? When do you want to drop the bike in? Select the date you'd like to drop the bike off. You can only pre-book upto two weeks in advance. When do you hope to collect the bike? Select the date you'd like to drop the bike off. We do not allow same day drop off/collections via booking form, please contact us in this situation. Success! Thank you for booking request. We will check availability and get back to you asap. Oops! It looks like something happened and we were unable to process your request. Please try again or contact us direct. Bikes not collected within 10 days of completetion will incur a £5 per week storage charge. We will not work on illegally modified bikes. We only work on ebikes that comply with all present regulations and laws.